The first thing that readily comes to mind at the mention of Calabar is tourism. It is unarguably one of Nigeria’s tourism hubs with the most footfalls. 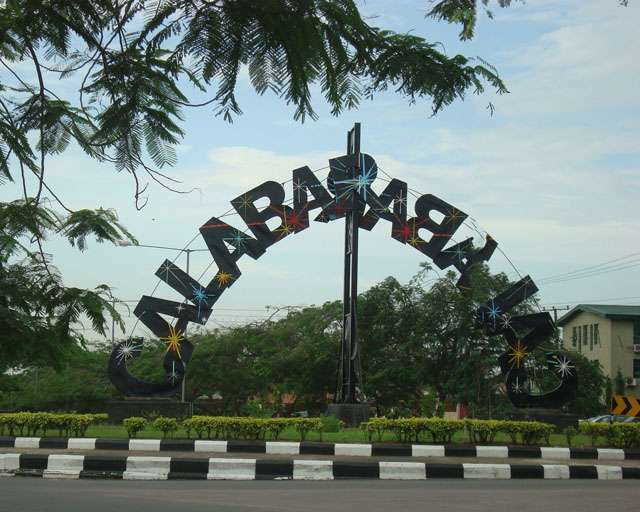 Calabar, also known as the Canaan City, is the capital of Cross River State in Nigeria. It was originally named Akwa Akpa in Efik language. The city is adjacent to Calabar and the Great Kwa rivers and creeks of the Cross River (from its inland delta). Administratively, the city is divided into Calabar Municipal and Calabar South Local Government Areas. It has an area of 406 square kilometres (157 sq mi) and a population of 371,022 as at 2006. There is an airport in Calabar which means you have the option of flying into the city. Exploring Calabar is worthwhile because there is so much to do and see in the capital city. Jumia, Nigeria’s leading online travel agency, shares the top tourist destination, hotels to stay, and interesting and fun places to unwind within the city. Tinapa Resort is the first integrated business and leisure resort established by the government of Cross River. The resort is located just about 10 kilometres from Calabar and serves as the ideal place to buy duty-free good and supplies. Tinapa resort boasts of spectacular architectural designs and features a luxury hotel, cinema, movie production studio known as “Studio Tinapa”, mini amphitheatre, nightclubs, a children’s arcade, pubs and water-themed park. This can easily pass as Calabar’s most promising and popular tourist destination. Obudu Mountain Resort is located in the highlands and deep tropical forests of Cross River State with a temperate climate at about 45 miles from the border with Cameroon. If you are a tourist looking for a mix of adventure and idyllic tranquillity, then Obudu Cattle Ranch is the place to be. With rich natural vegetation and a picturesque view, Obudu is increasingly becoming popular amongst tourists from all around Nigeria and Africa as a whole. Mary Slessor arrived the Nigerian shores in 1876 as a missionary worker for the United Presbyterian Church. She settled in the Akpap Okoyong, Odukpani Local Government Area of Cross River State and built herself a two bedroom mud house with a veranda, a store and a parlour which she called a “Caravan”. The house was renovated by Mr Owens, a missionary carpenter in 1889. The walls of the house were made from iron sheets while windows and doors were carved from wood. Upon Mary Slessor’s death, the house was converted to a Rest Home for missionaries and a primary health care centre. Calabar Carnival usually referred to as Africa’s Biggest Street Party was created as part of the dream of making Cross River State the number one tourist destination in Nigeria. The carnival starts on every 1st of December and lasts till 31st December. One of the main events that everyone anticipates is the street carnival which is usually celebrated on December 28th. The carnival started in 2004. Agbokim Waterfalls is made up of seven streams cascading over a steep cliff which provides seven faced waterfalls. Agbokim Waterfalls is located at about 17 kilometres from Ikom Local Government Area in Cross River State close to the Nigerian-Cameroonian border. The waterfall lies directly on the Cross River where it descends through the tropical forest. As a tourist hub, there is a blend of premium and budget hotels. You do not need to worry about the hotel because you can book one that is well-suited for your lifestyle. For the best deals on hotels, visit travel.jumia.com. Five two zero hotel lodge and spa is a 4-Star luxury hotel located in Calabar, Rivers State. The spacious rooms are designed with an adjoining sitting area which is fitted with plush sofas. Each room has an ornate lampshade, a TV with satellite channels, a wardrobe, a worktable and an en-suite bathroom. Complimentary breakfast is served daily and free WiFi is available. Some of the perks you can enjoy at the hotel are laundry, car hire and airport pickup ( services are provided upon request). Onsite parking is available and the premises are guarded by security personnel. You can book the executive suite of this hotel starting from 150k. Calabar Harbour Resort & Spa boasts modern facilities and neatly furnished rooms that will warm the heart of every guest. It is one of the top luxury hotels in Calabar! Calabar Harbour Resort & Spa is located in Asari Eso Layout, Calabar. All rooms are fully air-conditioned and furnished with decorative art paintings and wallpaper. Rooms are also fitted with safety deposit boxes, desks, flat-screen TVs with satellite channels and an en-suite bathroom. The suites also have a separate living and dining area. Calabar Harbour Resort & Spa is a 10-minute drive away from the airport. Terex Guest House is situated along Jebs Road in Calabar. The hotel has a bar and lounge.Each room has a TV with a cable subscription, air conditioning and an ensuite bathroom. The bar serves alcoholic and non-alcoholic drinks. The on-site restaurant serves staples or meals from the menu. You can book this hotel for as low as N1,500. Marpeto Hotel (Extension) is situated at Asuquo Nyong Street, Calabar. Each room has an en-suite bathroom, a wardrobe, a work table and chair, a television and a fan. Guests enjoy a variety of meals at the onsite restaurant, while the bar serves chilled alcoholic and non-alcoholic drinks. Your visit is incomplete without having a taste of Calabar’s nightlife! So, you should know that Calabar is not only about its tourist destinations, it also offers a vibrant nightlife for anyone who wants to indulge and have fun. Of course, while relaxing, you can order popular Calabar cuisines like Afang and Edikaikong among others. Jasper 131 is one of Calabar’s most premium entertainment spots. It is usually quiet and empty during the day, but at night, it becomes the life of the town. An excellent environment to unwind, Mayfair lounge is a very popular bar in Calabar. Located in the Channel View Hotels, it is a perfect spot to get away from the bustle of Calabar. Pinnacle Pub and Nightclub is one of the most recognised night spots in Calabar. Located within The Mirage Hotel, its modern services complement a tradition of service excellence. The bar is chic yet informal and attracts Calabar’s fashionable crowd. It has good service and a tasty food and drinks selection.